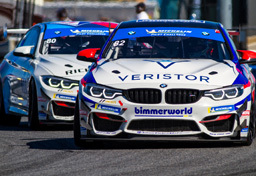 BimmerWorld Racing executed its game plan to near perfection today, and it almost paid off with a victory in the second round of the IMSA MICHELIN Pilot Challenge series at Sebring International Speedway. James Clay, of Blacksburg, Va., and Devin Jones, of Mooresville, N.C., drove their No. 82 OPTIMA Batteries/Veristor BMW M4 GT4 to a second-place finish in the Alan Jay Automotive Network 120 race, just 7.750 seconds out of first place. Qualifying driver James Clay started from the seventh position in the two-hour race on the 3.47-mile, 17-turn circuit in Central Florida and made a dash to the front, quickly battling in the top three. On the first of two cautions, Clay pitted for fuel and tires and handed the driving duties to Jones. Although it was a bit earlier than their planned pit stop, tire wear under the 80-plus degree Fahrenheit conditions required it. Jones kept the BMW M4 GT4 in the top three and soon elevated himself to the second place. When a second caution flag was thrown a few laps from the end of the 49-lap race, Devin dashed into second place and nearly grabbed the lead from eventual winner Jeff Westphal in an Audi R8. During his hard charge, Jones, the reigning IMSA ST class champion, set the fastest lap of the race with a time of 2:11.945 and a speed of 100.964 mph. Clay and Jones are unofficially tied for first place in the GS class points standings after two rounds. Friday’s race will be shown on NBCSN from 3 p.m. to 5 p.m. Eastern on Thursday, March 28. This race supported the Mobil 1 Twelve Hours of Sebring. The next event will be the Mid-Ohio 120 held at the Mid-Ohio Sports Car Course in Lexington, Ohio on May 3-4. ABOUT: BimmerWorld is renowned as a leader in BMW aftermarket and tuning expertise. It competes in the IMSA MICHELIN Pilot Challenge series in the Grand Sport (GS) class with a BMW Motorsport M4 GT4, where the Virginia-based outfit has become a winner and championship contender. It was also the Street Tuner champion of that series in 2018. 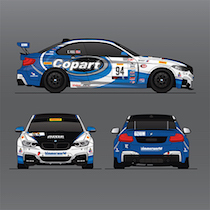 2019 also marks BimmerWorld Racing’s return to the SRO TC America Championship in the Touring Car (TC) class with two BMW Motorsport M240i Racing cars. In honor of IMSA’s 50th Season, the No. 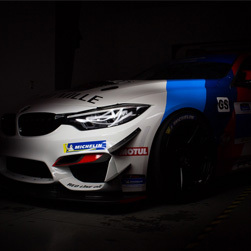 80 Bimmerworld BMW M4 GT4 in the MICHELIN Pilot Challenge will be adorned with one of the most iconic liveries in the racing paddock – the original red, blue, and purple stripes of the BMW M1. The BMW M1 Procar of the early 1980s became the first of many BMWs to boast the diagonal stripes. After a commanding later season in 1981, the M1 dominated the GTO class for years to come. Decades later, the iconic stripes reappeared on the BMW Z4 GTE car, which debuted at the 2013 Twelve Hours of Sebring. The stripes were also featured on the 1980’s E30 M3 DTM car with its Warsteiner livery. The No. 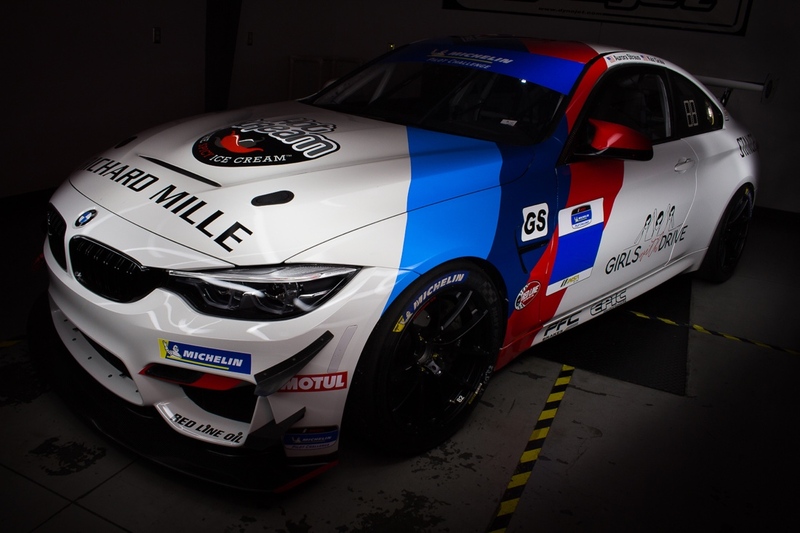 80 competing in this week’s upcoming BMW Endurance Challenge has the Warsteiner livery duplicated with modern sponsors: Stance, Richard Mille, and Hot Scream Ice Cream. 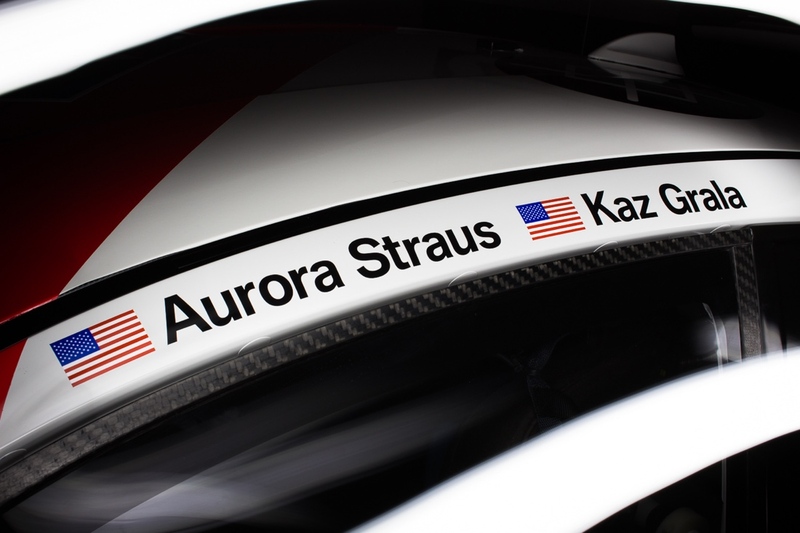 Aurora Straus and Kaz Grala, the drivers of the No. 80 car, and one of the youngest-ever pairings in the paddock, are elated to be sporting such a historic livery for their debut as a team. Victor Leleu, BMW North America’s Motorsports Manager, reflected similar sentiments. The No. 80 BMW will be competing in the BMW Endurance Challenge at Daytona International Speedway on Friday, January 25th. Tune in to IMSA.com to watch live at 12:15 pm EST. ABOUT: BimmerWorld is renowned as a leader in BMW aftermarket and tuning expertise. It competes in the IMSA MICHELIN Pilot Challenge series in the Grand Sport (GS) class with a BMW Motorsport M4 GT4, where the Virginia-based outfit has become a winner and championship contender. It was also the Street Tuner champion of that series in 2018. BimmerWorld Racing saved the best for last. 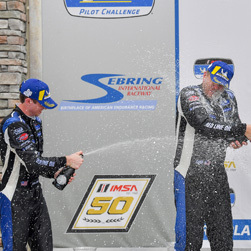 After three previous podium finishes in the Grand Sport (GS) class this year, including two second-place finishes in which they came very close to the overall victory, BimmerWorld Racing co-drivers James Clay and Tyler Cooke were victorious in the season finale for the IMSA Continental Tire SportsCar Challenge series on Friday at Road Atlanta. Not only did they win, but their OPTIMA Batteries BMW M4 GT4 was a whopping 8.999 seconds ahead of the second-place McLaren after two hours of grueling competition in the Fox Factory 120. The team’s entry in the Street Tuner (ST) class, the BimmerWorld Racing No. 81 Veristor/Legistics BMW 328i (F30 chassis), was in the spotlight too. Nick Galante grabbed the team’s ninth ST class pole, he and co-driver Devin Jones led most of the race, and they ended up on the podium in third place to seal the drivers’ and team championship for that division, which ended with the running of this race. The BimmerWorld pair was the one to beat all season, as Galante, of Greenfield, Mass. and Jones, of Mooresville, N.C. had nine podium finishes in the 10-race series that started with the first of their four victories at Daytona in January. Two other ST cars led 11 laps total, but the BimmerWorld No. 81 truly dominated, as either Galante or Jones were in front for an incredible 60 laps. Galante was in the lead when he handed the car off to Jones during a pit stop on lap 28. Jones maintained the lead, but with just 6:19 minutes left in the race, the No. 81 was forced to pit for a splash of fuel, which allowed a MINI and a Porsche to sneak ahead. Still, Jones was just 0.686 behind the second-place car at the checkered. In GS, team owner/driver Clay started sixth. The Blacksburg, Va.-based driver maintained fourth place for most of his stint, trying to conserve both his car and his tires. He turned the car over to Cooke, of Fort Lauderdale, Fla., under yellow on lap 26. Cooke took the lead for the first time on lap 40 with about 50 minutes remaining, but he had to make a final pit stop about 10 minutes later for left-side tires and fuel. The Dublin, Va.-based team’s stop was timed to perfection, as Cooke got out of the pits faster than many of his rivals and before some of them even made their final stop. He was fourth after the stop but he regained the lead on lap 55 with 26:33 remaining and then left everyone behind him as he powered around the 2.54-mile, 12-turn road course. With the hard-earned victory, Clay and Cook advanced one spot to tie for third in the GS drivers’ championship out of 93 drivers who earned points this season. BimmerWorld also finished third in the team standings in GS. In the next-to-last race of the year in September in Salinas, Calif., the BimmerWorld cars bore the names of hundreds of supporters and people affected by Alzheimer’s disease in a tribute generously provided by donors to the “Racing to End Alzheimer’s Foundation.” That effort continued at Road Atlanta and was notably successful in raising both money and awareness for the fight to end that debilitating disease. The FOX Factory 120 race will air on FOX Sports 1 on Sunday, Oct. 21 from 10 a.m. to noon Eastern time. “I’m super excited for our first win! We had a good car all weekend. We qualified sixth, which I believe matches our best qualifying. That typically means we’re going to have a solid race, and race to the front. I was pumped with my drive and thrilled with Tyler’s. I was waiting for the trouble to happen and it never did. What a great team behind us, and what a great finish to the season! “It was an awesome race! The team did a flawless job, and we’ve been there all year. Finally, finally, we get that win! It was quite special and a very emotional win. The last time we got a win, my dad was still alive, and I remember getting that phone call from him right after the race with him just screaming and excited. So it’s been tough for the memories, but I’m glad to get that win for him and for the team, James, and BMW Motorsport. BMW gave us a great car out of the box, and we proved that at Daytona. I’m looking forward to celebrating. I think James and I have a lot to celebrate! “Nick got another pole, which is just incredible how many poles we’ve gotten this year. That was a huge deal. The race started out great and he did a fantastic job maintaining it up front. We were in a great position, just like we’ve been in almost every race this year. He kept it up front and kept it clean. “I got in the car and cautions fell at bad times like we’ve had in some of the previous races this season, and we struggled a bit. We were about 10 minutes short [for fuel] when I got in the car. I can save fuel, but I can’t quite save 10 minutes. We went from saving, to just go for it and hope some other guys run out, too. We had to go in and do a splash-and-go while leading, so it was definitely a little bit of a disappointment to not end the season with a win, because I know we were capable of doing it. The season as a whole has been incredible. This team has come together really well. It’s been a pleasure to drive with Nick and race this car. It’s been just an incredible season. “It was a good opening stint. Right at the start, I was getting pressure from Max Faulkner in the Bodymotion car. He put on a great outside pass into Turn 1 and passed me for the lead, but I found a good opportunity a couple laps later on the restart after a caution. We got him going into Turn 10 and repassed him for the lead. We maintained the lead for most of the stint and then the track got rather slick out there, but the Continental tires held up well. It was just really tough spacing for the cautions, and we were just maybe a gallon short on gas and had to stop for a splash which really cost us the win here. But we wrapped up the ST drivers’ championship, which was our main goal. I’m a little disappointed we couldn’t get the manufacturers’ championship for BMW, but it was really close and a really fun weekend. ABOUT: BimmerWorld is renowned as a leader in BMW aftermarket and tuning expertise. It competes in the IMSA Continental Tire SportsCar Challenge series in both the Grand Sport (GS) class with a brand-new BMW Motorsport M4 GT4 and in the Street Tuner (ST) class with a turbocharged BMW 328i (F30 chassis), where the Virginia-based outfit has become a routine winner and championship contender. 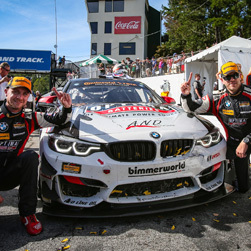 The Dublin, Va.-based BimmerWorld Racing team returns to Road Atlanta for the International Motor Sports Association (IMSA) Continental Tire SportsCar Challenge series race finale with the series championship on their minds. The Fox Factory 120 race on Friday, Oct. 12 at the 2.54-mile, 12-turn Road Atlanta road course in Braselton, Ga. will be the final race of the hugely competitive 2018 IMSA Continental Tire Challenge season. BimmerWorld Racing’s Nick Galante of Greenfield, Mass. and Devin Jones of Mooresville, N.C., drivers of the No. 81 Veristor/Legistics BMW 328i (F30 chassis), lead the ST class points championship by 16 points heading into the tenth race of the 10-race series. BimmerWorld Racing team owner/driver James Clay of Blacksburg, Va. and Tyler Cooke of Fort Lauderdale, Fla., drivers of the No. 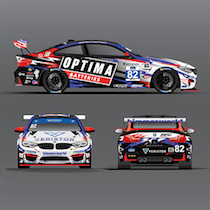 82 OPTIMA Batteries BMW M4 GT4, continue to maintain fourth place in the GS points championship, 44 points out of the GS class lead. Although Road Atlanta has not always produced the best results for the BimmerWorld Racing team, the drivers still enjoy the popular 48-year-old racing circuit which is just one hour north of Atlanta, Ga., and they are optimistic about producing good results this weekend while ending the season on a high note, especially as the ST class takes its final bow this weekend. Galante and Jones have captured four victories (Daytona, Canadian Tire Motorsports Park, Road America, Laguna Seca) and eight podiums in nine races in the ST class, which will be retired by IMSA after this season. 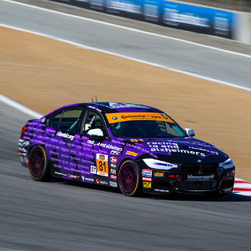 They are coming off a huge victory at Laguna Seca where their car was bearing the names of thousands of supporters and people affected by Alzheimer’s in a tribute generously provided by donors to the Racing to End Alzheimer’s foundation. Teammates Clay and Cooke have collected three podiums in nine races in their impressive inaugural season with the new BMW M4 GT4 as they enter the finale at Road Atlanta. 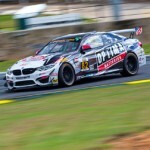 BimmerWorld, which Clay founded in 1997, has developed many BMW fans at Road Atlanta over the years and hope their support will add to the team’s strength as they go for the gold this weekend. The three practice sessions start on Thursday, Oct. 11 at 8:55 a.m., 1:05 p.m. and 4:35 p.m. Qualifying for the ST and TCR (touring car) classes will follow at 5:00 p.m., with Grand Sport qualifying at 5:20 p.m. The FOX Factory 120 features a pre-race grid walk at 12:30 p.m. on race day, Friday, Oct. 12 before the race start at 1:25 p.m. for two hours. Live video coverage and live timing and scoring of the race, which supports Saturday’s 10-hour Motul Petit Le Mans, will be available on imsa.tv and imsa.com. The Continental Tire SportsCar Challenge season finale will air on FOX Sports 1 from 10:00 a.m. to noon on Sunday, Oct. 21. All times are Eastern. This is the final race of the 2018 season. Share your most memorable moment of the year with us. This is the end of the era for the ST cars, with Road Atlanta being the final race for this class. What’s been the best thing about the ST class and the BMW 328i? What’s your favorite memory? Devin and Nick have had a fantastic season and look poised for the ST championship. How important would it be to close out this chapter on the ST class with a championship this year? How has the first year of the new BMW M4 GT4 gone for BimmerWorld? Have you been able to accomplish the goals you set for its first year? Managing tires is always critical at Road Atlanta. What are some of the most important ways you can manage them at this track? This is the final race of the 2018 season. Share your most memorable moment of the year. How do you feel the first year of the new BMW M4 GT4 gone for you and the team? What’s your favorite part about Road Atlanta? Where does the track stand in your list of favorites? 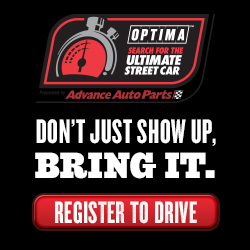 You’ve had extensive heat and sometimes rain at this race in past years, how do you plan for just about anything? The 2018 points championship is coming down to the wire this weekend. Do you expect much craziness on track when the championship is so close? You and Devin have had a fantastic season and look poised for the ST championship. How important would it be to close out this chapter on the ST class with a championship this year? With all three classes fighting for their respective championships. What are the concerns for lap traffic as these classes try to coexist? You and Nick have had a fantastic season and look poised for the ST championship. How important would it be to close out this chapter on the ST class with a championship this year? Many drivers use the curbs at Road Atlanta to gain a better lap time. How do you manage using the curbs to your benefit without creating drivetrain issues? Both of BimmerWorld Racing’s BMWs finished on the second step of the podium in the four-hour IMSA Continental Tire SportsCar Challenge race Saturday at Watkins Glen International in Watkins Glen, N.Y. The double runner-up finishes vaulted the Dublin, Va.-based team’s Grand Sport (GS) entry into a two-way tie for first in its overall championship, while its Street Tuner (ST) car rose from third to second in that division’s point standings heading into the next event this Saturday at Canadian Tire Motorsport Park in Bowmanville, Ontario, Canada. Team owner James Clay of Blacksburg, Va., did his best to keep the No. 82 OPTIMA Batteries BMW M4 GT4 in contention in the GS division while protecting it so his co-driver, Tyler Cooke of Fort Lauderdale, Fla., could mount a charge at the end. Their strategy worked well. There were 18 GS cars on the lead lap after the four-hour slugfest, and Cooke took the checkered only 7.938 seconds behind the winning Ford Mustang. The strategy was different but the results were the same for the team’s ST entry, the No. 81 Veristor/Legistics BMW 328i (F30 chassis). Devin Jones of Mooresville, N.C. captured the class pole and then dominated the race lead for most of the first half and built up a healthy lead before turning the car over to his co-driver, Nick Galante of Greenfield, Mass. Clay qualified eighth, avoided a multi-car wreck in the esses on the first lap, and stayed in the top 10 during his double stint. He had several good battles, particularly with Kyle Marcelli and Dillon Machavern, and on lap 19 he was hit by Andy Lally, who struggled with handling problems all weekend with his Mustang. Clay survived it all. He was seventh at the halfway point and third due to pit stops by others when he pitted too and turned the car over to Cooke with about 1:47 remaining in the race. Cooke started his stint in tenth. He broke into the top five with 1:15 remaining on lap 73, passed Al Carter for fourth six minutes later and rose to third with 56 minutes remaining when a lot of his rivals pitted. He pitted himself on the following lap with 55 minutes remaining under a full-course caution, and he was fifth for the restart with 45 minutes remaining. While the BMW M4 has air-conditioning, it was primarily turned off fo conserve every last horsepower, making the sealed cockpit even hotter as the track temperatures registered 128 degrees. After another yellow, Cooke passed Eric Foss for fourth on a restart with 31:20 left. After another battle with Marcelli that saw them side by side for almost a full lap, Cooke wrestled third away from him on lap 90, only to have Marcelli regain the spot with 26 minutes left. Cooke passed Marcelli back on the following lap, however, and with 23 minutes remaining he was 4.5 seconds behind the second-place driver, Owen Trinkler, who ended up fifth at the end. Cooke was able to methodically cut that distance down and he passed Trinkler for second with 16:47 remaining. He set the entry’s fastest lap of the race on lap 99 while trying to catch the eventual winner, Chad McCumbee. That proved impossible, but he was able to hold off Marcelli’s Mustang by 0.912 to finish second with 106 laps completed in the time span. In ST, the BimmerWorld entry led the most laps by far, heading the field for 65 of the 101 laps the class’s three podium finishers completed in the four-hour time span. Jones led the first 28 laps, gave the lead up when he pitted, and then led again from laps 34 through 56 before pitting to let Galante take over. The latter started his stint in fourth but led laps 65 through 78 before he had to make another pit stop. While pitting for tires and a final fuel fill, disaster struck as a hose broke on the team’s fuel rig, leaving Galante sitting in the pits waiting for fuel that wasn’t flowing. Through some quick calls and crisis management from the BimmerWorld team, the car was sent out to stay on the lead lap, the fuel rig repaired, and the fuel cell filled the next time by which enabled the 81 to start at the tail end of the lead lap, which gave a fighting chance for a podium finish with 55 minutes left. With 23 minutes left he was third, only 0.430 behind the second-place driver, Mat Pombo. He set the car’s fastest race lap on lap 89 while in third and moved into second place with 9:57 left on lap 100 to seal the runner-up finish. The race will air in the U.S. on FOX Sports 1 on Sunday, July 8 at 7:30 a.m. This coming Saturday’s Continental Tire Challenge race at Canadian Tire Motorsport Park (aka Mosport) will be half as long as the Watkins Glen race. Three practice sessions will precede it at 1:45 p.m. and 5:25 p.m. Friday and 9:50 a.m. Saturday. Qualifying is at 10:15 a.m. Saturday for the ST class and 10:35 a.m. for GS. The race is slated to get the green flag at 3:05 p.m. that afternoon. Live video coverage of the race will be available on imsa.tv from 2:55 p.m. to 5:05 p.m., with live timing and scoring on imsa.com. That race will air on FOX Sports 1 from 11:30 a.m. to 1:30 p.m. on Sunday, July 15. All times are Eastern. “Awesome race! We were watching the weather and it was going to be a hot one, and we knew that. The biggest question was ‘Is the car going to stay under us?’ We got dinged a little bit with Balance of Performance [BoP], but we had a BMW and that counts for a lot. “The heat was brutal. The track temperature was 120 degrees, but our Red Line fluids were up to the challenge. With a turbo engine and all the required coolers for both cars, heat management is critical to keep components from failing, or a car with factory electronics from going into a reduced output mode. Red Line has clearly dropped our temperatures and put us in a safer operational zone. “We had a good race at The Glen. If you had asked me at the beginning of the race if we were going to stand on the podium, I probably wouldn’t have had that answer. The team worked really hard. Our race engineer, Wayne, made some great calls; James drove a great stint, and it was a great points weekend for us. I think we may have tied for the points lead. That was our main focus of the whole weekend, so we’re leaving Watkins Glen happy as we move on to Mosport. “Every time I get in the heat I notice that I’ll start overdriving, and then I see the other drivers start overdriving. So you have to remind yourself that everybody is going through the same thing. You have to just take a deep breath, under drive just a hair, and let the pack come to you. It started to happen there at the end, but we got a couple of things wrong. It was so greasy out there [on track] that the Continental tires were hanging on as long as they could, but it was just so hot we couldn’t do anything. Our tire pressures may have been too high for that middle stop. But I tell you, the BimmerWorld guys nailed this one. The pole position Devin ‘Too Fast’ Jones put in, his opening stint, gapping that field…it was all phenomenal. He did his part better than I could in the race. I was just hanging on; he was comfortable. The kid is fast. “The BimmerWorld Racing guys did a great job preparing this car. It was fast all weekend. The heat played a little bit of a role today from the standpoint of track conditions. The track was a little greasier and there wasn’t as much grip today for the race, so that caught everybody off a bit. We were chasing the rear end of the car a little bit during the first stint. We made a little tire pressure adjustment for the next stint and it seemed to help the car a lot. I really thought we had the car to win. We had an unfortunate little issue with fueling the car on our final pit stop which kind of set us back a little bit, but everybody rallied well. And we still came away with second, which is good for points and something to build on when we go to Canada this week. I just have to thank Veristor; Nick did an awesome job, and we’re really looking forward to the rest of the season. James, you and Tyler qualified just 0.154 off the pole and led the most laps in this race in ST last year, got hit twice, and still finished fifth. What do you think will happen this year, now that you’re in GS and with a new car? Mosport has predominantly high-speed corners but is very easy on brakes. How will that benefit you and your BMWs? How do you like back-to-back races? Are they exhausting, or do they really get your momentum going? The Mosport track is treacherous in the rain. How do you prepare for a rain race/driving in the rain? Do you like it? James and Tyler have proved your car can be a real contender at CTMP. What are your thoughts going into this event? Mosport has predominantly high-speed corners but is very easy on brakes. How will that benefit you and your BMW? Historically, if you go off track at Mosport, the car is usually damaged. That usually leads to a number of cautions. How can you take advantage of that? What does Canada have that is better than its counterpart in the United States? Do you have a memorable “Mosport Moment” that you can share? 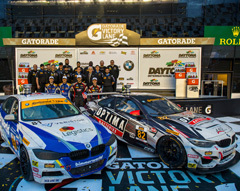 What a race for BMW at Daytona International Speedway! 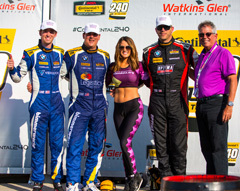 The BimmerWorld Racing team from Dublin, Va., had a near perfect weekend, collecting the pole and victory in the Street Tuner (ST) class of the IMSA Continental Tire SportsCar Challenge (ICTSC) series on Friday, as well as second place in the Grand Sport (GS) class. The BMW Endurance Challenge race, a part of the 56th annual Rolex 24 At Daytona race, was a four-hour enduro with its fair share of cautions. Polesitter Devin Jones of Mooresville, N.C. and teammate Nick Galante of Greenfield, Mass. dominated the race in the ST class in their No. 81 BMW 328i (F30 chassis), never putting a wheel wrong, and it paid off in a proud victory for the duo. It was also the first victory for the F30 328i in the ST class, after multiple podiums. Devin, who collected his first IMSA Continental Tire victory today, drove the first 85 laps before changing to teammate Galante. BimmerWorld team owner James Clay of Blacksburg, Va. and Tyler Cooke of Ft. Lauderdale, Fla. started from the 18th position in the GS class in their international GT4-spec No. 82 OPTIMA Batteries BMW M4 GT4. Qualifying and starting driver Clay charged into the Top 10 and even led one lap (lap 17) in a convincing run to the podium in the inaugural Continental Tire race. Clay drove for the first 67 of 106 laps before Cooke came in fresh and continued the gallant charge for their first podium of the season. “It was definitely a great start to the year. It can’t get much better than a pole and a win at Daytona; it’s huge. It’s been a massive day for us and the whole BimmerWorld team with a second place for their GS car, too. I just have to thank Veristor and everyone that supports this car. It’s really a dream to win here, and I’m just going to absorb it all. 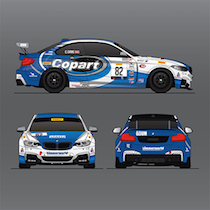 BimmerWorld Racing has stepped up the competition a notch with a brand-new BMW Motorsport M4 GT4 entry to compete in the 2018 IMSA Continental Tire Sportscar Challenge (ICTSC) Grand Sport (GS) class. Team owner James Clay of Blacksburg, Va. will once again pair with Tyler Cooke of Matthews, N.C to contest the competitive GS class beginning with the Continental Challenge race at Daytona International Speedway on January, 26th. The duo will use this weekend’s Roar Before the 24 test days, January 5-7, to sort out their new No. 82 (for the BMW F82 chassis designation) BimmerWorld Racing steed. “Both the test in November as well as the BOP (Balance of Performance) test for BMW in December were great experiences,” added Cooke. “The car is built very well and fits like a glove. It shows a lot of potential, and I’m looking forward to the Roar and starting the 2018 season. I’m happy James and I are back together, as we have been a good pair and we really solidified our driving dynamic towards the end of the 2017 season. 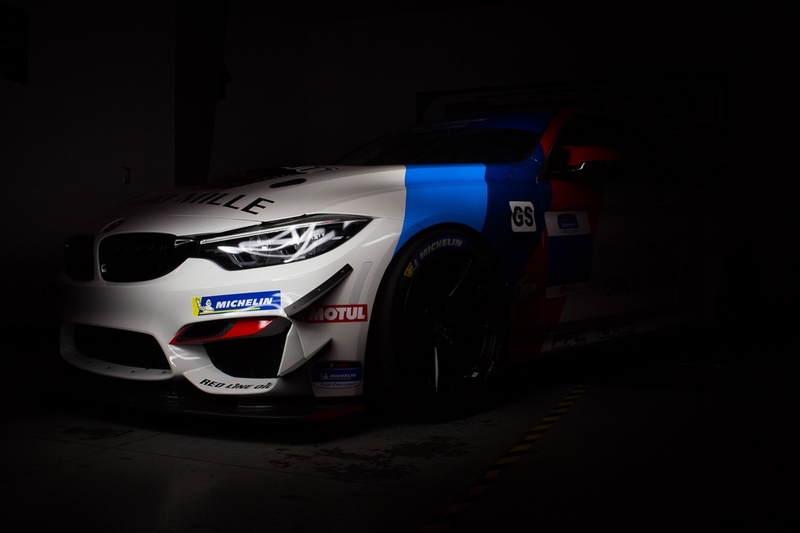 The M4 is going to be a great fit for us and the BimmerWorld crew working with BMW Motorsport. 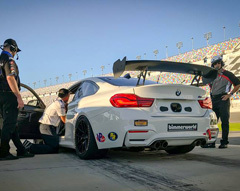 ABOUT: BimmerWorld is renowned as a leader in BMW aftermarket and tuning expertise and competes in the IMSA Continental Tire Sportscar Challenge series with a pair of BMWs, where the Virginia-based outfit has become a routine winner and championship contender.